Beannaise isn’t exactly like mayonnaise. 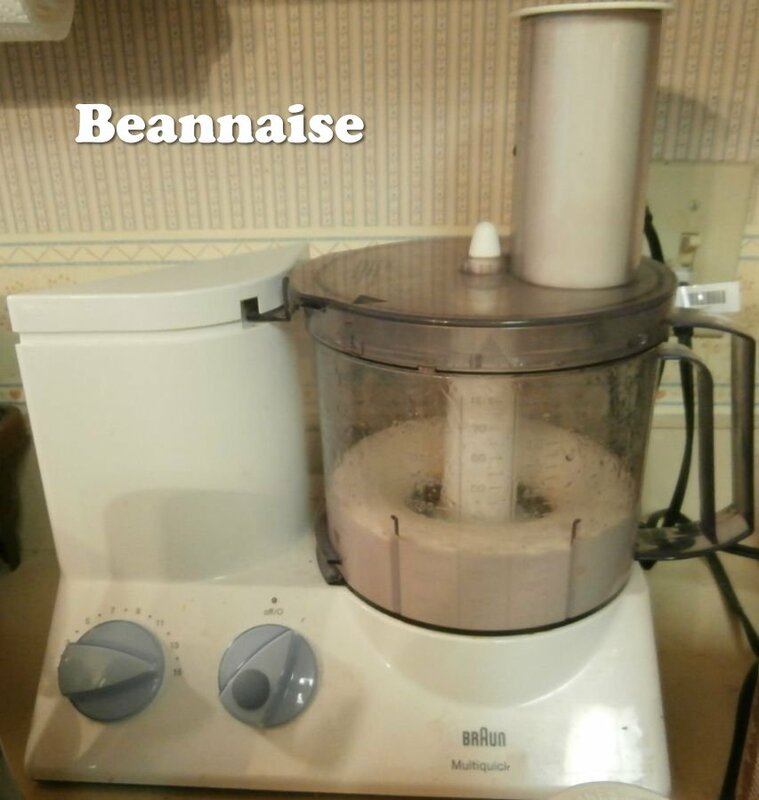 Where mayo is just fat and salt, a nutritional minus, beannaise is mostly made of beans and healthy unsaturated oils, so it is a much healthier replacement for mayo. And, while it doesn’t taste exactly the same as mayo, it tastes great! I like Beannaise much more than storebought high-tech replacers for sour cream, mayo, and various sauces, because the storebought versions are full of polysyllabic chemicals that couldn’t possibly all be good for a person. Beannaise whips up in minutes and is full of healthy ingredients with names that I can pronounce. The main ingredient is cannellini beans — and beans are full of healthy nutrients! I use Beannaise instead of sour cream, mayo, and various other sauces. It does taste different from mayo, but it is still salty and contains oil, so it works great as a replacement. I like it in my Potato Salad recipe, and as a topping for my ten-minute chili, and as a topping on potato pancakes, or with baked eggplant (recipe coming sooner or later!). I adapted this recipe from the book Food Allergy Survival Guide — a book full of great ideas for how to replace foods in your diet that you are allergic to. It goes through a list of top allergens, one chapter at a time, with a discussion of where that food is commonly found, where it might be hidden, how to replace it in cooking, and what to do about the nutrients that the food would have supplied in your diet — like for example how to get enough calcium if you have a dairy allergy. Tip: You can replace about half of the oil with water. A creamy, healthy, replacer for mayonnaise, sour cream, etc. It is vegan, nut-free, soy-free, and tastes great! I usually keep it for up to about a week, in a fridge set to 35 degrees Fahrenheit.